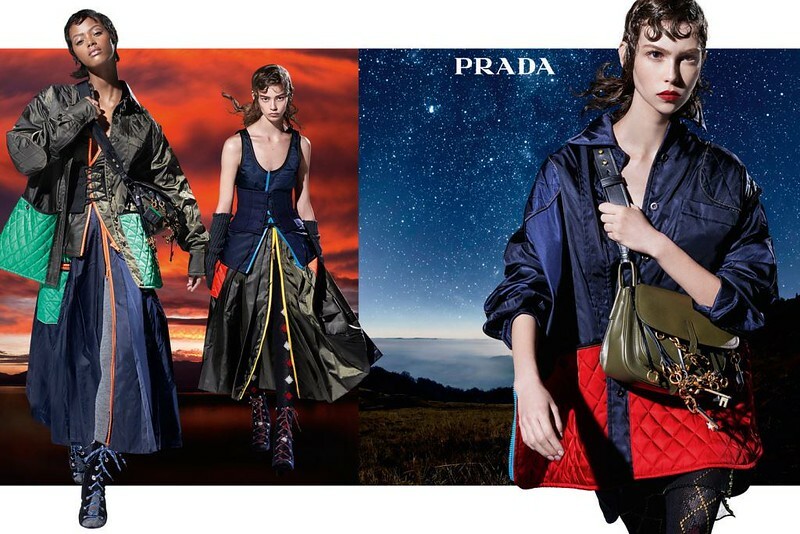 Prada unveils its seasonal campaign for the Fall/Winter 2016 Womenswear collection by Steven Meisel featuring twenty-seven top models set against multiple artificial backgrounds. 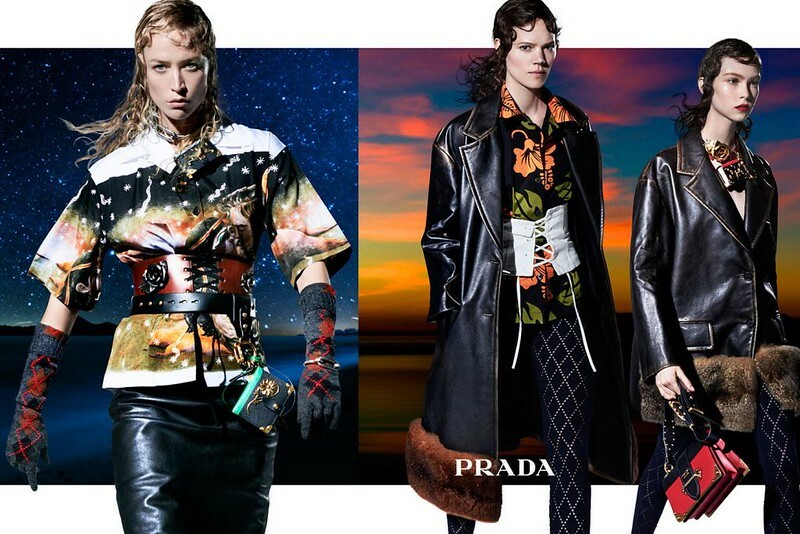 The campaign introduces Miuccia Prada’s highly regarded collection that takes as its subject the current cultural bricolage where every code, every style, every fragment in fashion history, and every personal experience, is equally present and available to the designer. 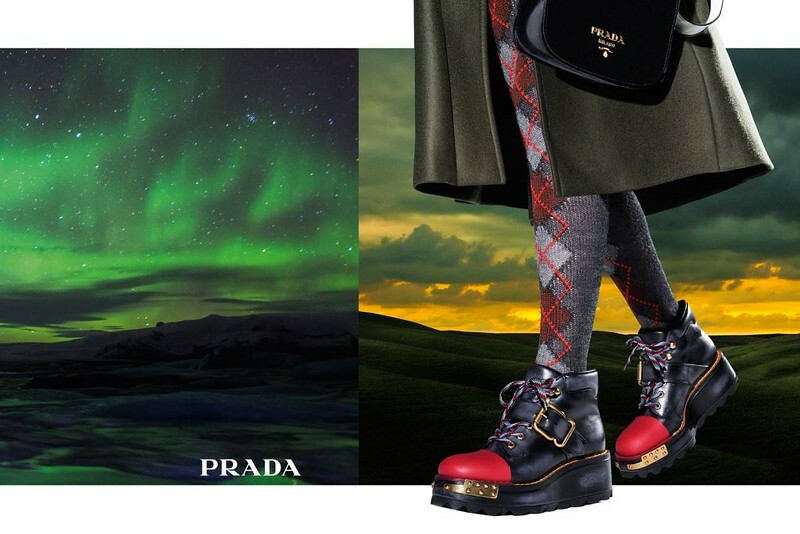 technique, and accessories in exuberant compositions: prints, argyles, lames, quilting, heavy knits, brocade, nylon, illustration, leather, satin, velvet, all have their place. placelessness of landscapes. The scenery ends abruptly, the edges clearly exposed: day and night collide; desert and seascape occupy the same conceptual space. As the woman roams through the world she carries her stories on her back. In the end, place is unimportant, the narrative only coheres on the body itself. The woman is the site.